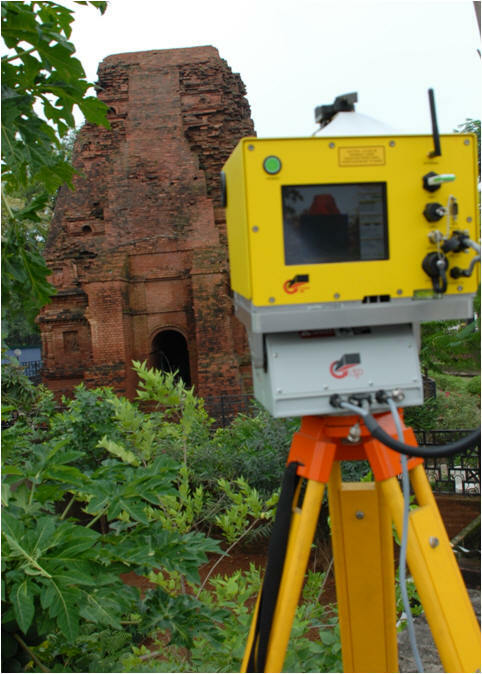 We are working with ASI for scanning and archiving the archaeological heritage. A recent example of this work is the first Hindu temple made by non-perishable material at Bhiaar Gaon. The process of data collection and model generation is briefly shown in the power point presentation. Currently, the final model is being readied as a shadow-less integrated mesh model. Image texture is applied to the model using simultaneously taken photographs. This model will be further improved using high resolution very close range photographs which capture the fine carving details. The high resolution 3D model thus generated can facilitate replication of important heritage sites by constructing similar structures in the vicinity or elsewhere. A visitor can first go to the simulated site before going to actual one. The simulated site can also be made available through audio-visual approach in immersive environment. This will reduce exposure of site (in terms of time of exposure and number of visitors) thus helping in conservation of the site. We would like to hear from interested people in this area for sharing the expertise and collaboration.